Happy Friday, friends! And happy almost-Easter! It's finally supposed to be sunny and warm-ish here in NYC this weekend and I am BEYOND ready. What are you guys up to on this holiday weekend? Bookmarking this cute Fido-froyo brand for summer days. Bookmarking Martha Stewart's guide to a pup-friendly Easter party. Loving the cute designs for Apollo Peak's dog beer. Wondering how Dave would react to one of these canine carseats. Enjoying this Wired article about Petzbe, but still not convinced another social network is what I need in my life. Crushing on springy patterns from Little Wolf. 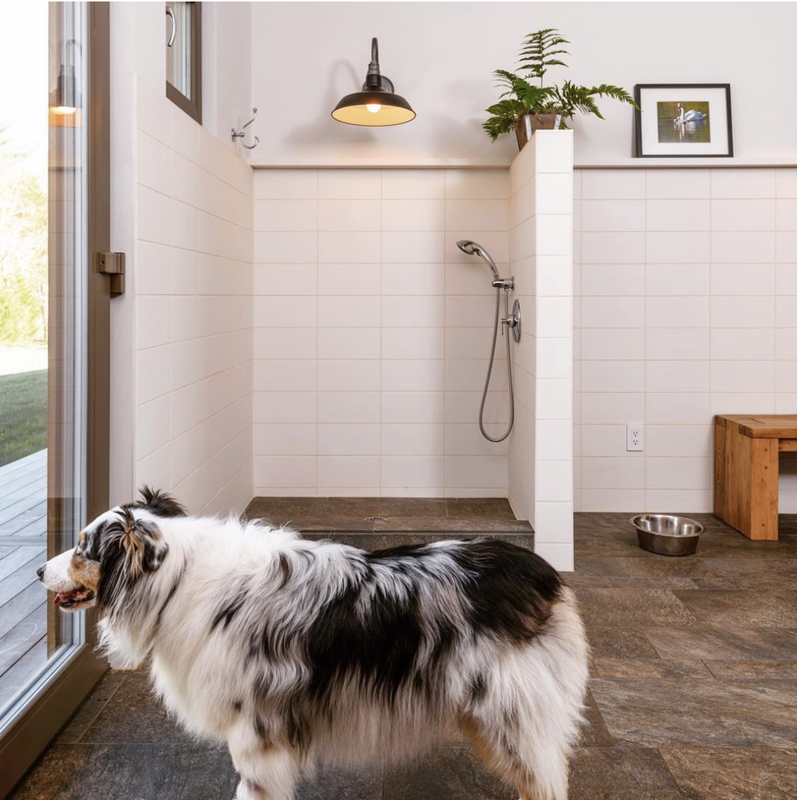 Discovering that I'm not the only one obsessed with keeping my pups clean because according to this article, puppy spas are a new trend in home design. Eyeing the LINK AKC dog collar, which has GPS built in after reading several horror stories about NYC pups breaking away from their walkers. Has anyone tried this? Realizing I might need a set of these custom magnets.